This butterfly was so big I actually heard a soft thud! when it hit the ground. Look around--there is probably something beautiful right behind you. OOO .. how very beautiful. You are sooo lucky too. Have a great day Farmgirl Susan. WOW. I only get black Swallowtails here who munch down on all my yearly parsley! Now I just buy parsley at the store. Look around--there is probably something beautiful right behind you. Yes - my daughter,playing with the cat. I needed to read this right at this moment... thank you. 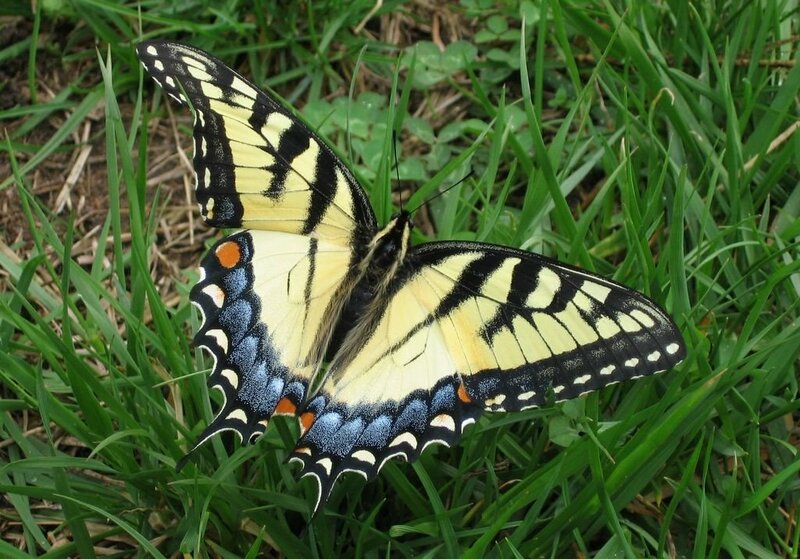 Beautiful flutterbye! 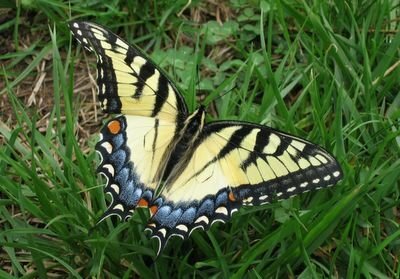 Swallowtails have always been one of my favorites. gorgeous butterfly. I think it was lucky 13 in spirit. Spring is here and summer is not far off! Thanks for the reminder Farmgirl! wow! what a beautiful shot!! s/he posed perfectly for you! Surely that butterfly landing so close has to mean good luck or something. Right! The luck that you had your camera and could share it's beauty with us!